Humanitarian actions win praise as the force celebrates its 70th birthday. Zhang Zhihao reports. Having set sail from a base in Qingdao, Shandong province, guided-missile destroyer CNS Qingdao and supply ship CNS Taicang visited 10 countries, from Singapore to Brazil. The voyage lasted four months and covered more than 30,000 nautical miles (55,560 kilometers), according to records from the Ministry of National Defense. Long-distance voyages are often regarded as coming-of-age experiences for navies capable of such feats. The 2002 voyage represented a major upgrade of the PLA Navy's operational abilities in far-flung oceans since it began visiting neighboring countries in 1985. 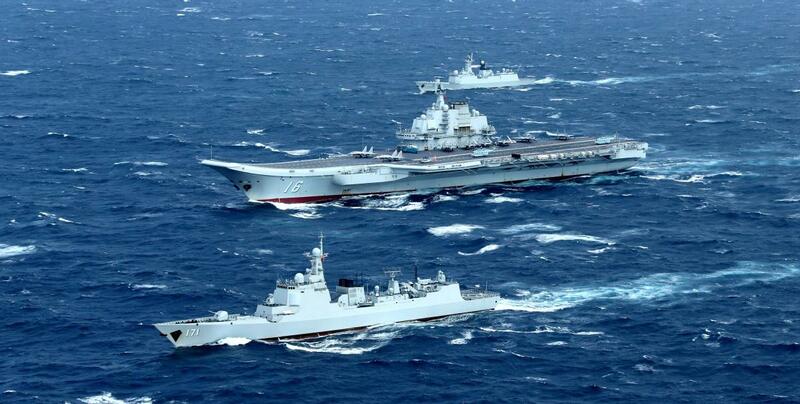 Major General Ding Yiping, commander of the fleet for the 2002 world tour, told Xinhua News Agency that port calls by warships and goodwill visits are a special kind of peacetime diplomacy. Such visits are also a key way of helping to modernize the PLA Navy and improve mutual exchanges, understanding and friendship between the navies of China and foreign powers, according to Ding. "The tour showcased China's resolve to maintain world peace, and demonstrated that the PLA Navy is a mighty, civiliz[MG_SEO]ed and peaceful military force," he said.